Dr. Weian Zhao is an Associate Professor at the Sue and Bill Gross Stem Cell Research Center, Chao Family Comprehensive Cancer Center, Department of Biomedical Engineering, Edwards Lifesciences Center for Advanced Cardiovascular Technology and Department of Pharmaceutical Sciences at University of California, Irvine. Dr. Zhao is also a co-founder of several start-up companies that aim to develop technologies for rapid diagnosis, stem cell therapy, and drug discovery, respectively. Dr. Zhao’s research aims to 1) elucidate and eventually control the fate of transplanted stem cells and immune cells to treat cancer and autoimmune diseases, and 2) develop novel miniaturized devices for early diagnosis and monitoring for conditions including sepsis, antibiotic resistance and cancer. He has edited 1 book and 4 journal special issues and co-authored over 60 journal articles and 8 patent/disclosure applications. His work has been published in top journals including Science Translational Medicine, Nature Communications, Nature Nanotechnology, PNAS, Blood, Neurology, Biomaterials, Lab on a Chip, JACS, Advanced Materials, and Angewandte Chemie, which has been cited more than 5000 times to date. Dr. Zhao has received numerous awards including the MIT’s Technology Review TR35 Award: the world’s top 35 innovators under the age of 35 and NIH Director’s New Innovator Award. Dr. Zhao completed his BSc and MSc degrees in Chemistry at Shandong University where he studied polymer, surface and colloidal chemistry. Dr. Zhao then obtained his PhD in Chemistry at McMaster University in 2008. 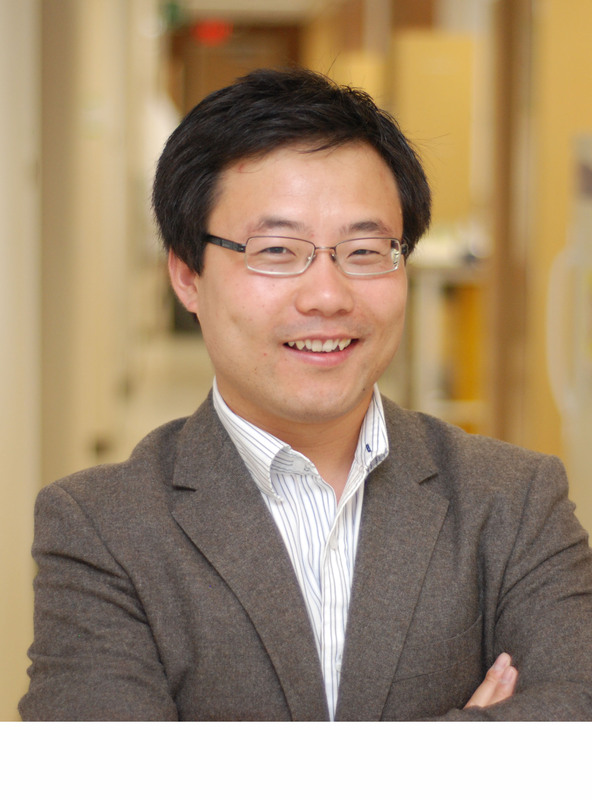 During his PhD study, Dr. Zhao focused on the use of functional nucleic acid (i.e. aptamers, DNA based enzymes) to structure gold nanoparticles to construct well-defined nanostructures and biosensors. During 2008-2011, Dr. Zhao was a Human Frontier Science Program (HFSP) Postdoctoral Fellow at Harvard Medical School, Brigham and Women’s Hospital and MIT. His research focused on the development of novel molecular, nano- and micro-engineered tools for stem cell therapy and regenerative medicine, diagnosis and in vivo imaging, and elucidating stem cell and cancer biology. 2014 Dr. Dong-Ku Kang’s Fortuna team who has made into the semi-finals of the 2014 Business Plan Competition at The Paul Merage School of Business, UC Irvine. Copyright © 2011-2012 - All Rights Reserved. Zhao Research Group.